And yes of course I mean the adorable minions when I say lovable. 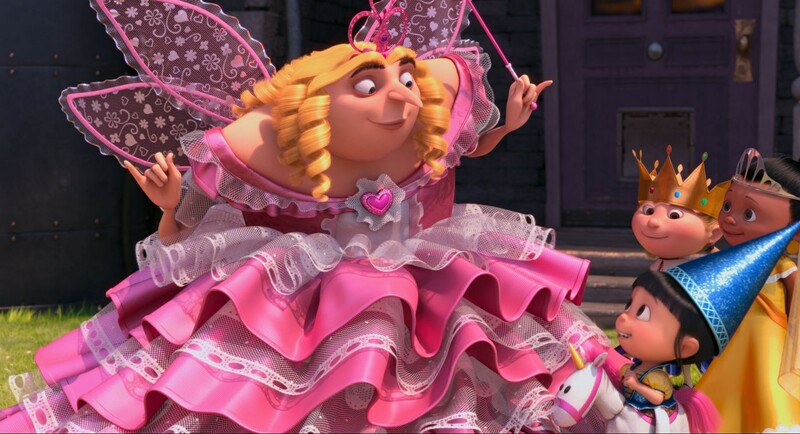 Firstly, the evil genius, Gru that we all fell in love with in the first movie is presented as a highly domesticated and tamed version of himself in Despicable Me 2. I personally liked him way better when he was busy planning on shrinking the moon and hoping to be the world’s number one villain. We see a more sensitive side of Gru with flashbacks into his childhood along with insights on his insecurities regarding his looks. The movie also has a heroine this time. Meet Lucy, Gru’s work partner and soon to be lover and wife. The ending, in a way, establishes Gru as a hero instead of a villian, not just in the eyes of his daughters but also in the general sense. I for one missed the Gru from the first movie. 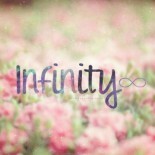 However, even if the movie fails to meet the mark for adults, children on the other hand will enjoy this movie greatly. Firstly because we see a lot more of the girls in this movie. Agnes is her usual ecstatic self while Margo has matured into a teenager with a certain love interest. 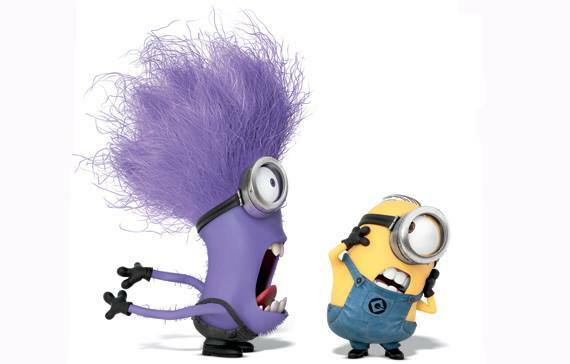 However, the best thing about the movie is that you will get to see a lot more of the minions! An undercover villain starts abducting the minions in order to inject them with a serum that transforms them into purple, indestructible, beastly monsters. And thus creating an army of evil minions in plans of taking over the world. So it’s up to Gru to ‘save’ the world this time. 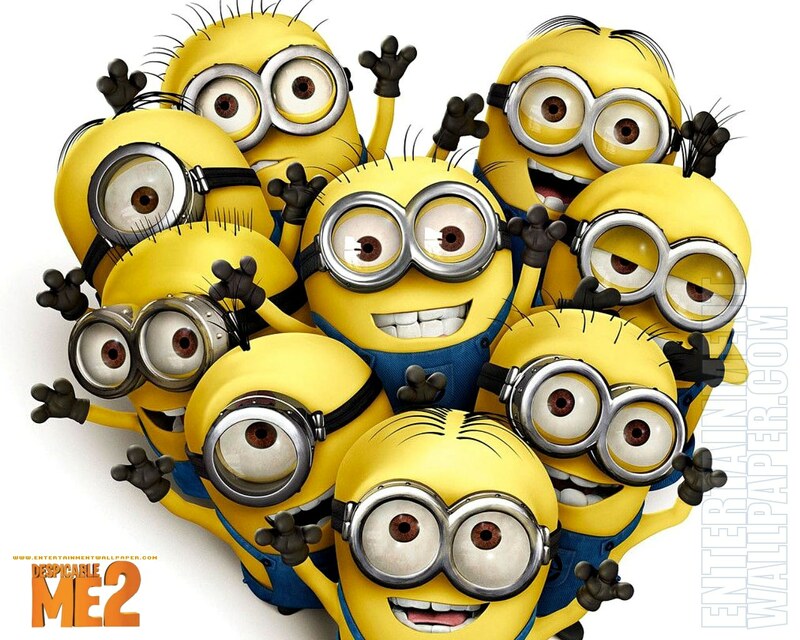 At the end of the movie is a special surprise for all the minion-lovers out there: The minions get together with the other characters and sing the classic YMCA song. Despite the fact that this movie doesn’t beat the first one, this little treat at the end may just make it worthwhile for you to watch. It wasn’t terrible like I had imagined it to be, but I can’t say it was anything special either. Just sort of a regular kind of movie. Good review Sam. Thanks Dan 🙂 I sort of expected more out of it. I think it’s better watching movies with really low expectations in order to make the best out of them. Thanks for your comment! I’m checking out your blog right now. 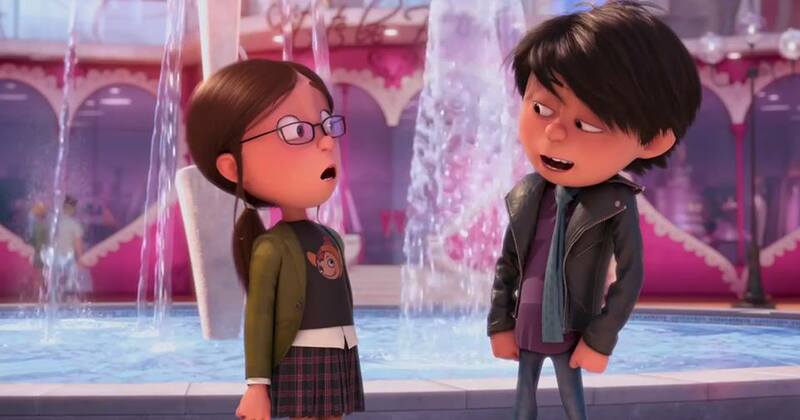 This entry was posted on July 22, 2013 by samtotally in Entertainment and tagged Animation, comedy, Despicable Me, despicable me 2, entertainment, Film, Gru, minion, minions, movie, movie review, summer movies, summer must see, YMCA.